This post has nothing to do with food but its one that I wanted to share with you as my viewer. I had the pleasure of testing out a 2015 Chevy Tahoe for a week. As soon as this beautiful truck pulled into my driveway my kids were jumping up and down of excitement. This truck was fully loaded with all the best that a Chevy Tahoe can offer. I had an event that week in NYC and it was one of the most comfortable cars to drive. It was weird that it didn’t feel like a truck it had the comfort of a regular size car. Storage in the center console is large enough to fit a laptop computer or hanging files. Plus, the available 8-inch diagonal color touch-screen slides up to reveal space behind the display to store cell phones, wallets or other valuables. Love having all this space especially with kids. 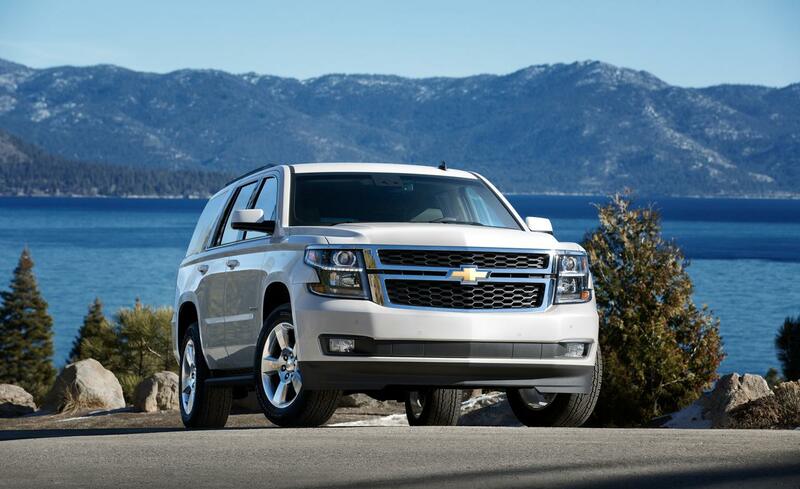 Tahoe LTZ models have standard heated and cooled leather-appointed front bucket seats. The convenience of available power-release second-row and fold-flat third-row seats — the fastest power-release second-row and power-folding third-row seats of any competitor — and the versatility of a flat load floor to store cargo. With the second- and third-row seats folded flat, the all-new Tahoe offers 94.7 cu. ft. of cargo space. Talk about being in a quiet car. Tahoe features an acoustic-laminated windshield and triple-sealed inlaid doors to help reduce wind and exterior noise in the cabin. Stay connected with your hands safely on the steering wheel using Bluetooth wireless. Simply pair your compatible Bluetooth-enabled smartphone with Chevrolet MyLink or connect through one of the six available USB ports, and you can have access to your entire contact list, personal playlists and select mobile apps. Makes life so much easier especially on the road. Tahoe offers a maximum towing capacity of up to 8,500 lbs — plenty of power to tow boats, ATVs and whatever else you want to bring along. I just wanted to share this with you. Even though I’m not an expert I do know what I like in a car. This is my opinion and my opinion only.